Our waterfront carriage house with boat dock is a perfect year round destination. Close walking distance to the village of Greenwood Lake and the public bus to Manhattan, Warwick and New Jersey. We are in a mountain valley surrounded by state and national parks. Our glacial lake is a year round destination. Close NY Rennaissane Faire, wineries and ski resorts. Explore our back country roads, visit farmers markets and wineries. The Appalachian trail runs along the western ridge of Greenwood Lake. Sterling Forest State park and the Ramapo mountains border the eastern side. To our south, is the Skylands region of New Jersey. A continuous chain of state parks, Sterling Forest, Harriman and Bear Mountain link us to the Historic Hudson River. Sterling Forest is also the home to the New York Renaissance Faire in the summer and Tuxedoa Mountain Ski Resort in the winter. Mt Peter ski resort is to five minutes drive to our west. The ski slopes of the sky lands region, Mountain Creek and Hidden Valley are twent-five minutes to our south. Our waterfront carriage house is only 45 minutes by car from Manhattan, on the New York, New Jersey border. We are nestled in a mountain valley surrounded by state and national parks. Our glacial lake is a year round destination. The Appalachian trail runs along the western ridge of Greenwood Lake. Sterling Forest State park and the Ramapo mountains border the eastern side. To our south, is the Skylands region of New Jersey. A continuous chain of state parks, Sterling Forest, Harriman and bear Mountain link us to the Historic Hudson River. Sterling Forest Is the home of the NY Ren Faire in the summer and Tuxedo ski resort in the winter. Mt. Peter Ski resort is to our west. Greenwood Lake village is in the town of Warwick. The region is known for it's wineries and farm land. 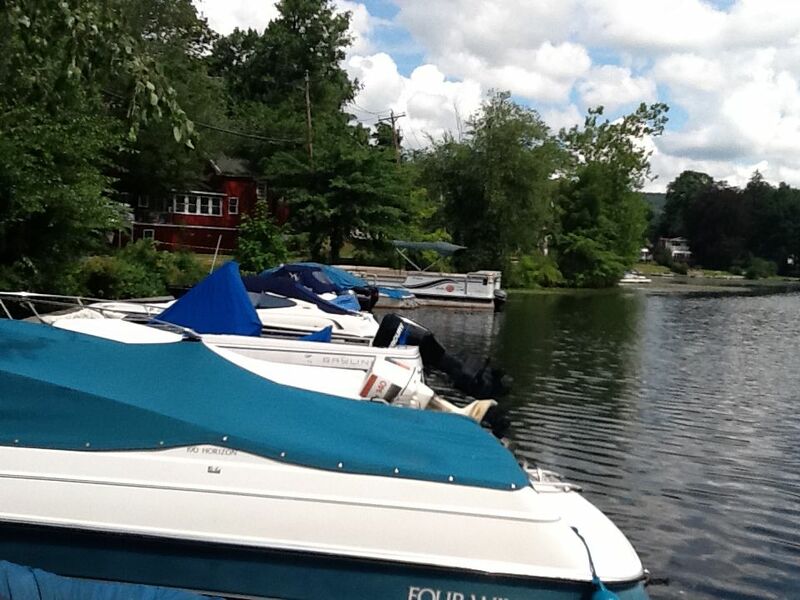 We are in Greenwood Lake village in the Town of Warwick. No car? Take the 196 or 197 bus from Port Authority. Fall season. Great weather for hiking, wineries, pumpkin picking. Near forest of Fear.